Buenas, sejam bem vindos a mais uma resenha do projeto Expanda sua Mente! Esse livro é um pouco mais difícil, em termos de linguagem, é um livro de época (final de 1800's, se não me engano, não lembro se vi a data em que se passa a história) e tem termos que não conhecia. Além disso, o diálogo de alguns personagens, especialmente os empregados da casa, com sua fala coloquial, são bem difíceis de entender. Mas nada impossível. 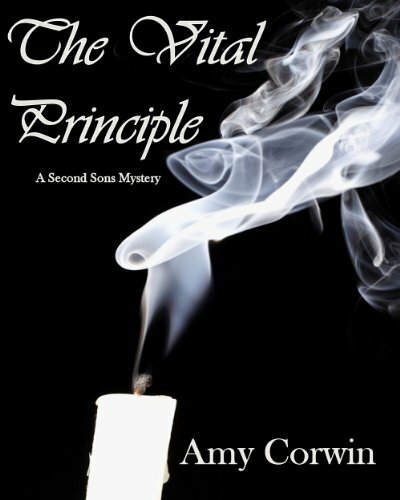 The Vital Principle is a lovely mistery romance by Amy Corwin, featuring Knight Gaunt and Pru Barnard. Pru Barnard is a lovely fraud, she pretends to be able to communicate with the death and she was invited by Lady Crowley, recently widowed, to go to her house and try to reach her late husband. Lord Crowley, her son, is sure she is a charlatan and hires Mr. Gaunt to expose her "in a way as humilliating as possible". Lord Crowley is killed (and no, that is not a spoiler, they tell you on the back cover) and Mr. Gaunt is left to inquire (he IS an Inquiry Agent of the Second Sons Inquiry Agency) and find out who murdered him. As we go along, we end up hating Lord Crowley. He is a despicable little man, hateful and hideous, who ended up hurting and damaging several people, specially women. Also, we end up understanding and caring for Pru and Knighton who, of course, are romantically attracted. I see my "philosophical" views alternate between Pru and Knighton, Pru's view of "the truth" is much alike mine and Knighton's view of the people around him (specially the women) who he thinks are, usually, untrustworthy or histerical. Really, screaming, histerical females drive me crazy. Get ahold of yourself woman! The historical aspect, the relations between man and women, between noble people and workers ("working for a living" being something awful and all, really cute), the difference on the police and inquiry work, that's all just very interesting. Amy's rhythm is amazing, she keeps you turning pages without breathing, wanting to see what'll happen next, wanting to see what Pru was thinking during that one scene that Mr. Gaunt just narrated (did I mention they both narrate chapters? They do), who is the killer, why, when, how? Keeps you asking but also keeps you giggling, laughing, entertained. May Allen is a separate delight. The perfect portrait of so many women nowadays, her speech was a bit hard for me (so, my KBB readers, watch out for her), English not being my first language and all, with the way she speaks being too coloquial, illiterate, some words I didn't know, some I had to infer from the context. We'd call her a golddigger, nowadays, but when you think about it, sure, she was being ambitious and, well, pretty greedy, but what was in the world for her? Nothing, really. So she had to take her fate on her hands. And do it for herself, work with whatever she had. The story revolves and, eventually, you think that ANYONE could have killed Lord Crowley, simply because he was an awful person. Hell, I would've killed him if he wasn't dead. Hideous, awful little man, hurtful, despicable, misoginist, likes to feel enpowered, hurting people even after he's dead, his own poor mother... Anyways. Yeah. Hateful. Overall, The Vital Principle is an amazing book, with strong characters and a very clever plot, full of witty remarks, cute, romantic, funny but also full of mistery. I look forward to reading more of Pru Barnard and Knighton Gaunt, so I'm adding the other "Second Sons Inquiry Agency" books to my wishlist. Read it, you won't regret it. Fiquei bem interessado. E que capa bonita. May, em relação a editoração do e-book, qual a sua opinião? Infelizmente, eu não tenho como opinar na editoração, pois li a versão paperback, ou seja, papel - capa mole. 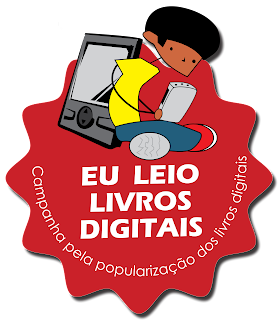 Estou começando a pedir um capítulo digital junto com os livros físicos, para poder opinar.